This is the best moisturizer I have ever used for my acne prone skin. Since I started using Paula's choice products I never had a breakout (it has been two years). I can barely feel this moisturizer, it is very light on the skin but hydrates it well. It also protects the skin from the sun damage. Great for applying under the make up too. I like its runny consistency and lighteness. Best sun screen I've used, no white cast, non tacky, works great with my beauty regime. I know it's factor 30, has anyone used this for their face on holiday? Customer Care: This sunscreen offers broadspectrum protection (SPF30+). During an average day the sunscreen you applied in the morning will still offer enough protection at the end of the day. That is, assuming you have applied enough in the morning and that you will be doing most of your daily activities or your job indoors.If you spend the main part of your day outside, then we do recommend that you reapply your sunscreen every two hours, especially if you perspire a lot or go swimming. This product is breaking me out, i had gotten to the point where my acne was smooth and just a few very small spots and marks left... using this by the end of the day my spots are sometimes painfull and raised! I gave it chance, i took 2 days break from it, as i was staying in and my skin is smoothed out again, i used this product again today and same things happening my spots are raising again, and feeling sore... struggling to find a spf moisturiser now that i would trust, im using bha 2% which i love and its brilliant! Alongside the cleanser i also like and BP from my doctor's.. still unfortunately looking for a moisturiser, very unhappy as it wasn't a cheap products and it will go to waste. Very frustrating when a product in a line doesn't work as i like to use products from the same line as i believe they compliment each other. Most cosmetically elegant sunscreen I've found and I've tried so many. Every sunscreen I've ever used has broken me out terribly, this has not given me one new pimple or blackhead, amazing. I have very reactive skin and within 30 minutes of applying this my skin will be calm and less red or blotchy, if anything sunscreen usually makes that worse. Gives a really nice sheen to the skin too. I have really sensitive eyes so can't apply this too close to them or the chemical sunscreens in it will sting them all day which can get a bit unbearable so I just make sure I apply it carefully. I really love this one, for the love of god don't reformulate/discontinue this ever. A little seems to go a long way with this I am still on the trial size even though I have purchased the full size now. I know it says apply liberally and I will do that in the summer to benefit more from the SPF but I live in the U.K. I don't even see the sun in the winter. I like that this is a really light mosterizer fluid. It doesn't seem matte finish on me - maybe I am extremely oily. It works well under a matte foundation though e.g. Clinique matte oil free. I would give this five stars if it was also a mattifying moisturiser; if that is even possible? Emma - at a complete loss! such a shame as the product is so thin and feels nice,drys down quickly but something in PCs sunscreen/moisturisers seem to be breaking me out!! Customer Care: Thank you for your review. We are sorry to hear that some of the sunscreens are not working out for you. Although this is not a common response, we do understand that each customer is uniquely different in how they will respond to products or ingredients. Please contact our customer care team for further assistance with finding an alternative product. The best spf moisturiser I have used. Its so sad the normal size has been out of stock for over a month, what is happening Paula's choice? All the products that are very effective are out of stock, its summer and I need my spf moisturiser, Ive ran out of my moisturiser. I have clled customer service 2 weeks ago and no idea when it will be back on stock, I cant try other product because of my skin type and have wasted so much money before I found what worked for me and now they are all out of stock! I've been using this for a few months now and It doesn't cause me to break out at all. It's very light, and I don't find the product to be greasy. Occasionally I use it alone as a moisturiser but usually I will add it on top as my skin gets quite dry in some places. My skin feels so dry after using it.and skin can be peeled of sometimes. I love everything about this except I developed brown patches on my skin. At first I thought I had overdone it with exfoliants. I contacted the PC team and they said I had probably reached my skin's exfoliating threshold so I stopped exfoliating for at least three months but kept using this moisturiser with spf. The brown patches were kind of painful too and they didn't go away. One day, I thought to stop using it and tried spf from a different brand. My face felt so calm and it was so soothing. I have been exfoliating ever since and I haven't had any problems. I hope PC look into this as I would still prefer a PC product as all my staples are from them. I tried two other spf products from here and had the same results. Something in them is too much for my skin. Customer Care: Thank you for your review. We're sorry to hear about the experience that you've had when using this product. Unfortunately, not everyone reacts in the same way to skin-care ingredients, and some can be more sensitive to a particular ingredient than others. It is possible, a sunscreen with a mineral filter may be a better option for you. Please contact our customer care team for a recommendation. I have really been struggling to find a moisturizer, that does not clog up my pores. 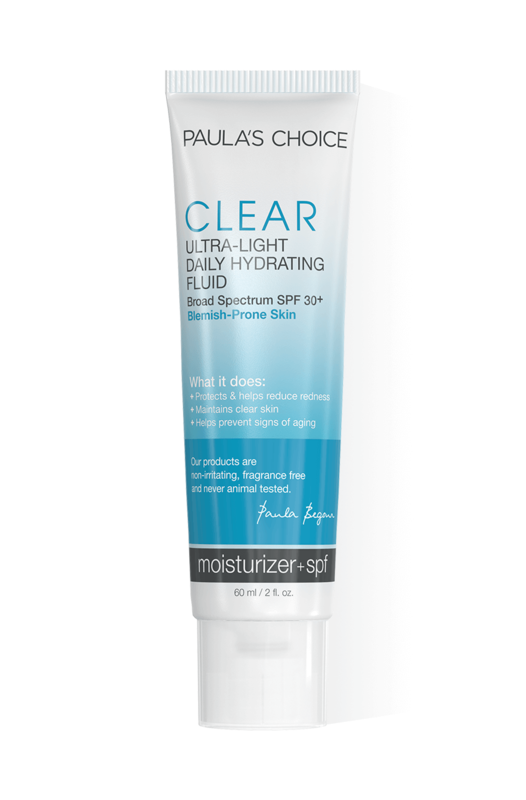 I wasn't sure, if something with SPF would help me, as I have had a bad reaction to sunscreen in the past, but this.. this moisturizer is amazing! My skin does not find it irritating nor overly oily, it takes only a little to go over my whole face, it leaves my skin loved and happy. No extra pimples to deal with later on, my normal/dry skin is hydrated, and it definitely fights the sun damage as well, without me breaking out because of it. I really recommend giving this a try! Customer Care: Hi Kristina, Thank you for sharing your experience with us, we are always delighted to hear from our customers. I really liked the texture of the product and my face looked very fresh after applying the product, but brown patches appeared on my skin above my lip and on my forehead and darkened every day. I have stopped using this sunscreen and now I use physical sunscreen which does not make the patches darker. I wish I never tried this product as I have very nice skin (but now with two big brown patches). Customer Care: Thank you for your review. We're sorry to hear about the experience that you've had when using this product. Unfortunately, not everyone reacts in the same way to skin-care ingredients, and some can be more sensitive to a particular ingredient than others. I bought the trial version of this and I will be buying the normal size in my next order. It's the lightest moisturiser with SPF I've ever used, in fact the lightest moisturiser overall that I've ever used, yet it still feels soothing on my skin and gives it everything it needs. Perfect for my combination skin. A little goes a long way. A great product for those of us with acne prone skin, who wants to use SPF. It gives you a matt finish and sits well under makeup. I have nothing bad to say! Cali - Light, non-greasy, lovely! All sunscreens tend to break me out and I hate the thick sticky greasy texture they leave on your skin! however this is the complete opposite! its so light it glides on like water and you don't even notice it's there! will deffinatly re-purchase. I can't realy tell long term if it would cause a breakout as my skin is quite bad at the moment but it didn't seem to irritate it at all. I thought the Skin Balancing Ultra Sheer SPF 30 was good but this product is even better (certainly for me). Very light but not drying, has a slight 'glow' to it so not a matt look but doesn't make my skin oily, so I guess it is mattifying by not adding to oiliness. And I like the 'glow', I don't want a flat, dry look, which I often get from mattifying products. My skin feels comfortable when I apply the product, I've had no break outs, great sun protection - I love it! Will also try the new Resist SPF 50 product, which I understand is the same formulation with higher SPF, perfect for summer. Thanks, and well done, PC. Goes on easily, is light and feels protective, not super moisturising or super mattifying but a lovely formula. Ok people this is the spf that us combo/acne probe lot have been waiting for so here the fantastic part it is light it layers great over moisturisers and aha/bha exfoliant as with some spf products ball up when the shin has the exfoliating liquid or gels under then this PC spf does not . It dries down to a satin finish I'm not going to lie it's not matt but it just leaves the skin looking lightly hydrated the texture is feather light and is a bit thicker than the resist toner . And the best part is with me being a bloke there is no showing of spf in my facial hair :) and no white cast . Have to say, after just a few days using this product my husband and I are both very impressed. Neither of us suffer from acne, but it's a lovely product to use, SO light (impressed at the SPF 30!) and leaves skin looking and feeling great. I have a feeling I might be buying the bigger bottle next time!